The slate of candidates for Vestry has been announced. Four candidates will be elected to the Vestry at the Annual Meeting on November 8. Click the following links for each candidate’s responses to questions about St. Paul’s, their experience, and their vision for the future: Rick Bradley, LaQuinta Jernigan, Jeff Kager, Frank Laney, Kevin McIntire, and Karen Smith. Handouts of these responses are available in the narthex. Be sure to attend the annual meeting at 10:10 in the church on Nov 8. Read November 2015 Newsletter, page 2. Wake Interfaith Hospitality Network (WIHN), Ministry to the Homeless: St. Paul’s WIHN week is Nov 8-15. WIHN is a wonderful “hands-on” outreach opportunity, both for adults and for families. Please contact Kathleen Neff (kathleen@trioptimum.com) or Myrna Belingon (tmb.jersey@gmail.com). St. Paul’s Memorial Garden offers three options: interment of ashes in the garden, inurnment of ashes in the columbarium, and inscription of the name of someone you wish to honor on the remembrance wall. To learn more about the Memorial Garden, click here. 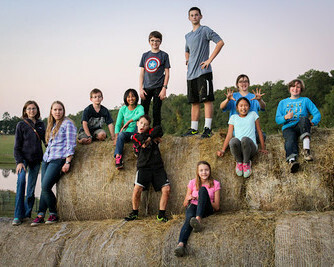 St. Paul’s EYC had a great time at Green Acres Farm Corn Maze on Sunday, Oct 11, 2015. See photos. The Bread Ministry bakes and delivers bread to visitors each week. Bakers are needed to bake two loaves of bread and bring them to the church kitchen two or three times a year. 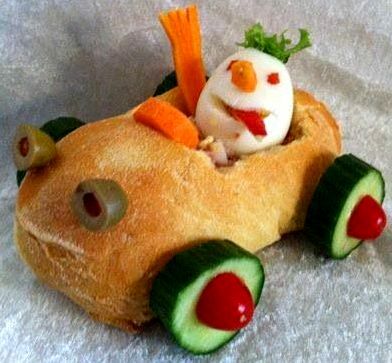 Drivers are needed to deliver the bread to visitors on Sundays after the service. Each of these jobs requires only a small time commitment and is a great way to welcome newcomers. Would you like to help with the bread ministry? Please contact Sally Moller, sbm2@nc.rr.com.